Oh, the gentle caress of love. Introverts, here’s what kind of partner you are in a romantic relationship, based on your Myers-Briggs personality type. Flexible and easy-going, ISTPs never get locked into something just because “it’s the way we always do things” or “it’s what we planned to do.” Spontaneous and bold, masters of all-things tech, mechanical, or hands-on, ISTPs will surprise and delight their partner with new experiences — the more rooted in the five senses, the better. In fact, there’s nothing closer to an ISTP’s heart than a shared experience. Probably not the type to gush with flowery words of love (or reveal much emotion at all), ISTPs enjoy doing something with their partner, from renovating the kitchen to playing a yard game to brewing their own beer. Always living in the present moment, ISTPs can be seen as a bit flighty, which can frustrate their partner, as they’re unable to pin them down — this introverted personality hates being controlled. Nevertheless, ISTPs make great partners for anyone who’s willing to give them a little longer leash; with ISTPs, life will never be dull! Belonging to a class of personalities known as “the explorers,” ISFPs embrace each new day as it comes and are always ready to try something new, making them vibrant, spontaneous, and enthusiastic partners. Although at first a bit shy, over time, ISFPs will reveal their charming, quirky nature. They have little desire to control others or strong arm their partner into doing something they don’t want to do, and in turn, their partners appreciate their flexible and easy-going nature. Creative and naturally artistic, ISFPs won’t shrink from crafting a piece of jewelry, writing a song, or making a sketch to express their love. They enjoy finding little ways to surprise and delight their partner — the more sensual the experience, the better — and you can bet that it’ll never be the same thing twice! Private and at times mysterious, ISFPs guard their sensitive and emotional core closely, which can frustrate their partner, leaving them feeling “locked out,” unable to penetrate below the ISFP’s surface. Nevertheless, ISFPs crave both emotional and physical intimacy, making a great partner to anyone who wants to (quietly) enjoy life to its fullest. Traditional and stable, both male and female ISTJs typically represent the epitome of family values. Never one to eschew hard work, they greet each day with a “get ‘er done” attitude. As with most things, this introverted “Thinking” personality views relationships through the lens of rationality and common sense — probably no late-night musical tributes or gushing words of affection here! 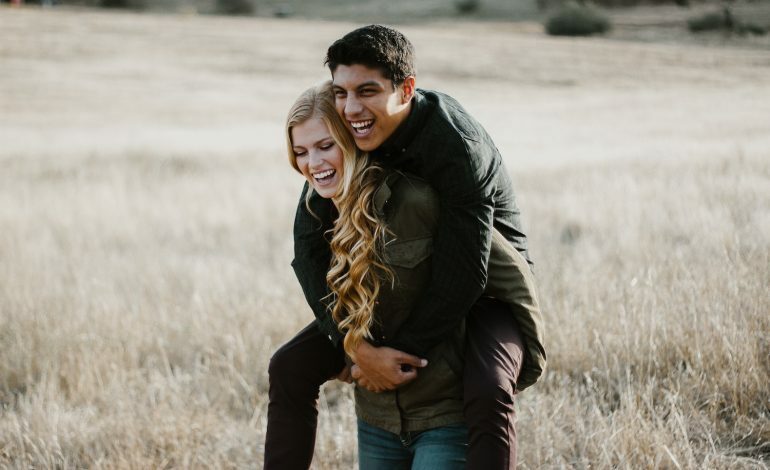 They seek a compatible partner who will meet their daily and long-term needs — someone they can rely on — and in turn, they’re reliable and dependable themselves, following through on their word whenever humanly possible. However, due to their rational Thinking nature, ISTJs may at times leave their partner wanting in the emotional connection department, and may be prone to trying to “win” arguments, to the detriment of their partner’s goodwill. It’s not that ISTJs don’t have feelings, it’s just that, like other Thinking personalities, emotions are not their primary language. Nevertheless, ISTJs make responsible and trustworthy partners who will shepherd and protect their families through the ups and downs of life. ISFJs bring a rare blend of both emotional and practical support to any relationship. Highly attuned to others and their physical surroundings, they quickly grasp what their partner needs in a very concrete way. Misplaced your sunglasses? An ISFJ will know exactly where they are — maybe without even looking! Your birthday’s coming up? Your ISFJ partner will prepare your favorite meal, just the way you like it (they naturally possess a precise memory for personal tastes and details). Enthusiastic caretakers and homemakers — both men and women — ISFJs know home is where the heart is, and family is the pulse. Be wary of an ISFJ bottling up his or her emotions, however; these sensitive and emotional introverts are prone to hiding their negative feelings, as confrontation clashes with their natural drive to please. Nevertheless, an ISFJ will make a conscientious and dedicated partner to anyone willing to demonstrate commitment, love, and appreciation in return. The ever-pondering, “nutty professors” of the Myers-Briggs world, INTPs possess a unique mix of traits that will pleasantly surprise their partner. As with all things, INTPs are “idea people” — they’re never short on them! — and they look for a significant other to share those big ideas and theories with. But relationships don’t come easy for this sometimes shy and private introverted personality, who may, especially at a young age, feel quite unsure of themselves in social situations. When it comes to dating, it’s like everyone else is reading from a manual that INTPs never received. Nevertheless, when they do find that special someone, they can be surprisingly playful and flirtatious. Loyal, trustworthy, and incredibly low-maintenance, the INTP’s needs in a relationship are shockingly simple: quality time and intellectual stimulation. Direct and honest, taking their relationships seriously, INTPs believe in the vision of what their relationship could be. But don’t expect an INTP to be open about their feelings, as the world of emotions is cloudy and impossible to dissect using logic. In fact, an INTP’s love interest may need to read between the lines just to know that they’re interested! Playful and imaginative, INFPs are the dreamy idealists of the Myers-Briggs world. Deep down, they desire the perfect romance, and may run scenarios about the perfect “meet cute” over and over in their mind or fantasize about their ideal partner. Once they’re in a relationship, INFPs are perhaps more prone than any other type to put their significant other on a pedestal. If INFPs aren’t careful, they may envision a role that no real human can fulfill! Nevertheless, INFPs make great partners. Because they themselves desire romance, they work hard to give it in return. Sensitive and heartfelt, always striving to connect on a deeper emotional level, INFPs will reveal their own layers slowly. At their best, this thoughtful personality will do everything they possibly can to be the ideal partner, as they hate confrontation and love harmony. But, despite being passionate romantics, they’ll rarely smother their significant other, as they themselves need freedom and independence to thrive. In other words, INFPs probably won’t be the ones imposing burdensome expectations or demands on their partner. Rather, INFPs will be generous with their affection, and do what they do best — embrace, understand, and love others for who they are. As with all things in life, INTJs approach relationships with precision. Armed with a mental checklist, they embark on a series of calculated steps and measurable milestones to find their special someone. And in the INTJ’s mind, this approach is flawless; but in reality, it overlooks a crucial factor: this “messy” thing we call human nature. Indeed, finding a compatible significant other may be one of the most significant challenges an INTJ will ever face, as they develop a world inside their head that’s more perfect than the real one — and their approach to relationships is no exception. Nevertheless, look they will, because INTJs desire deep, meaningful relationships, despite their bad rap for being cold and robotic. And when they find one, they will apply those same high standards to maintaining and developing it. Never one to make a decision lightly, INTJs will be committed for the long-term, as this type believes in making plans and sticking to them. They eagerly approach conflict — and even issues of emotional needs — as logic puzzles to be solved. Indeed, this introverted personality will put tremendous effort into determining why and how something went wrong, and of course, how to fix it. Responsible and often brilliantly intellectual, INTJs bring a hard-to-match level of stability and insight to their relationships. Want an email whenever we write about your personality type? Subscribe to our type-specific newsletters here. Intense and at times perplexing, INFJs are on a determined quest to find their soul mate, someone who surpasses mere physical attraction and can meet them on a deeply emotional — and even spiritual — plane. This may sound like a tall order, but being INFJs, they’re uniquely equipped to follow through. Able to read others well and penetrate below almost anyone’s facade to the unsaid meaning behind their words, INFJs often know when someone is being less-than-honest or simply isn’t right for them. Indeed, INFJs can at times be quick to narrow their focus, and they won’t hesitate to completely cut off relationships that aren’t the right match; having high standards can be a blessing in many areas of their lives, but it can also mean INFJs have to work twice as hard to find love. Nevertheless, once in a relationship, this caring and wise personality makes a great significant other. Perceptive of their partner’s needs, emotions, and mental state, they work hard to please them and honor their needs and preferences. Masters at creating emotional intimacy, being in a romantic relationship with an INFJ is hard to describe in conventional terms. Selective and private, they may not let many people into their life, but when they do, their attachments are profound and never shallow.